"It was never about iPads. It was about 'How do we personalize learning? 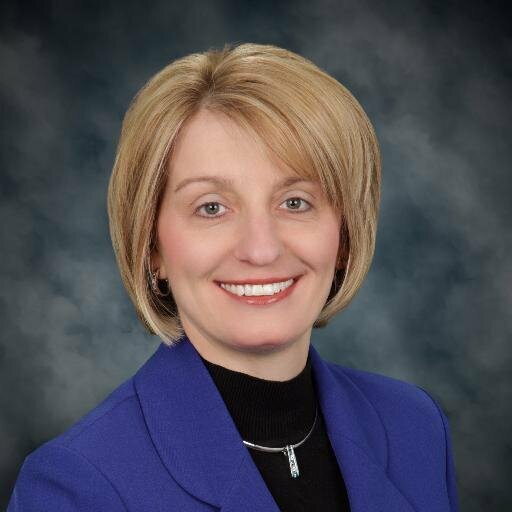 ',” explained Dr. Christine Johns, Superintendent of Michigan’s second largest school district in this interview about increasing student engagement. Q: Why did you launch blended learning for newly mandated full-day kindergarten? As an educator, my team and I knew that the value of full-day kindergarten would benefit students for the rest of their educational careers and throughout their life so we were very much supportive of it. But we were challenged with a question of, if we’re going to go from half-day programs to full-day, how will the day look different? How will it engage learners? As we moved into the blended learning model, while we may have had a desire to go 1:1, based on our current economic status and school funding we knew we may not be able to go 1:1. So is there another way we can still achieve personalized learning for our students and still be able to propel and accelerate achievement to a high academic level? Q: How did your team develop an effective iPad learning model? My team reviewed eSpark’s content and the apps, and one of the things that we discovered very quickly is that these were high-quality apps, they were aligned to standards, they addressed the elementary program quite well, and they solved a major challenge we had at the time. We have 28,400 students and in kindergarten alone we had 1,500 students across 25 elementary schools, 80 classrooms. Imagine all those teachers purchasing apps—it would create a curation nightmare and some legal challenges and financial problems for the district. 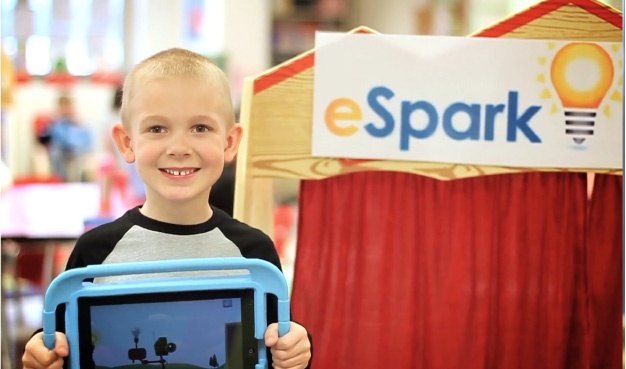 Working with eSpark, we were able to use them as our third-party curator and provider and as a result were able to push those [apps] out to all of the devices, and each child had their own individualized plan for learning. "These were high-quality apps, they were aligned to standards, they addressed the elementary program quite well, and they solved a major challenge we had at the time." 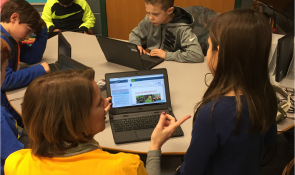 ...Teachers are able to differentiate using technology and the apps, but even more importantly, students are engaged in their various learning stations in the classrooms. The teacher is able to pull small groups of students to work with her so she can then address those specific needs of students, whether it’s vocabulary development, whether it’s teaching them specific sounds or how to blend letters to make words, or even sentences and beginning reading skills. Q: How would you describe the UCS and eSpark partnership? Typically, relationships with vendors or partners [are] that you purchase a product and then they’re gone. With eSpark, they have been with us, boots on the ground, from the beginning. As I said earlier, principals, secretaries, and teachers actually think that the eSpark staff is part of our staff. It’s been extremely collegial, and in fact, our teachers have very good confidence that they also could get in front of their class and actually teach. That’s a credit to them in terms of the individuals—many of them were former teachers. They are educators first, not business folks. Q: What effect has eSpark had in increasing student engagement? Students are fully engaged because the videos that are there are animated, and as they’re answering questions or responding to the task at hand, they are getting immediate feedback. Often you will see students doing little fist pumps like ‘I got it right!’ and cheering themselves on, so [it’s] very positive in that light. "We want them to start to develop and engage in their learning so that most importantly, students are taking responsibility for their learning." The other part of the engagement relates to the social media aspects of the personalized learning plans. Students can share with their teachers electronically how they’re feeling about a particular activity, how they’re feeling that day as it relates to learning, and they can give a thumbs up or thumbs down based on whether or not they like a particular app or if it was challenging to them, or if they have a question for the teacher or want to have their own little private conference. Kindergarteners are a little different than second graders, but the fact of the matter is that this is a way we want them to start to develop and engage in their learning so that most importantly, students are taking responsibility for their learning.